Mountain lion statue in El Pomar Plaza on Feb. 18. All classes and activities are cancelled at 12:15 p.m. Classes that are still in progress at 12:15 p.m. may meet for the first part of the class period, but must end at 12:15 p.m. Text messages – Make sure your number is registered with UCCS Alerts to receive emergency communications. Students are automatically enrolled with their contact information in their MyUCCS portal. Employees and parents can register as well through rave.uccs.edu. Email – All students and employees are registered to receive emergency communications to their UCCS email accounts. Website – Weather impacts are posted to the main uccs.edu page, alerts.uccs.edu and at FlashAlerts. Social media – UCCS Alerts communication is posted to the Facebook and Twitter pages for UCCS Emergency Management, UCCS Police and the main UCCS account. Traditional media – During weather events, traditional broadcast and print media rely on FlashAlerts for updated information on closures, and will also share that information. 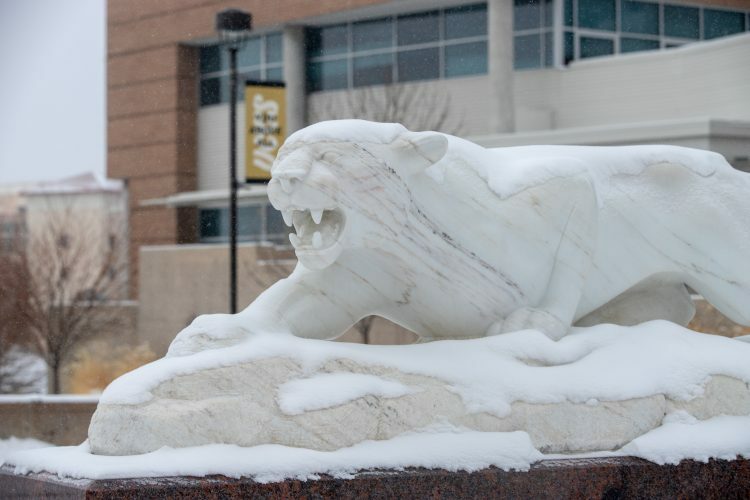 Phone – UCCS Police maintain a closure number at (719) 255-3346. People can call that number to learn if the campus is open, on a modified schedule or closed.